Britton Christian Church in Oklahoma City started out small – only 70 members. But as it grew, the church recognized the need for a church management software and eGiving solution. 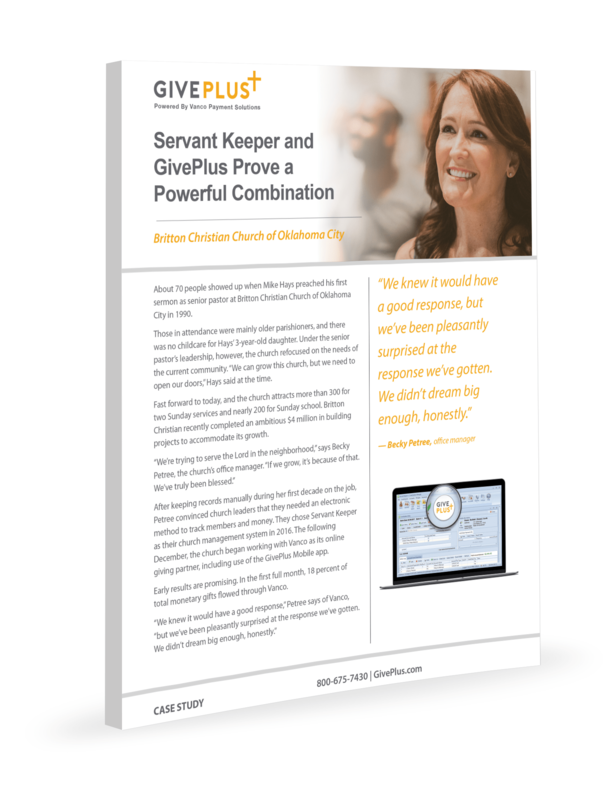 The church found GivePlus and its integration with Servant Keeper. The results have been a big success for the growing church.